Computed Tomography is an advanced diagnostic imaging procedure where detailed cross sectional images of bone, soft tissues and blood vessels can be produced to detect neoplasms, soft tissue lesions, inflammation, and more. CT scan enables reproduction of recorded images in different planes and even 3 dimensional images can be viewed easily on a computer screen. CT Scans can also be printed on a special film and the procedure is painless, non invasive and generates accurate results. It can also help detect internal injuries and internal bleeding in trauma cases. A CT Scan machine consists of an X ray tube and an X ray detector array. It rotates around the patient at a speed of 120 to 280 rpm. The X Ray beam is directed across the patient's body and the resultant ray is captured by the array and an image is created. The data channels are non contact based while the power channels are contact based. slip ring technology is utilized in order to transmit data, current or signals from a stationary surface to a rotating surface. Data and current transmission is primary in diagnostic technology. 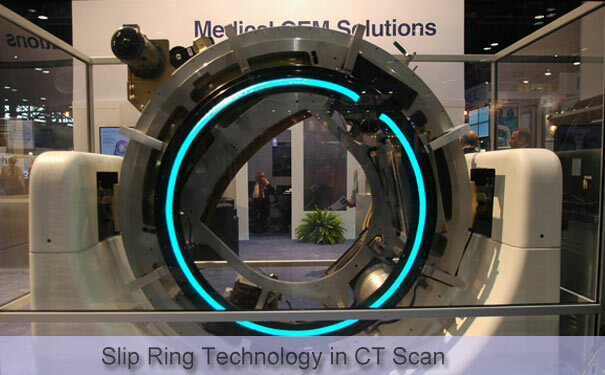 The use of slip ring technology in ct Scans has dramatically improved the accuracy and efficacy of this diagnostic scanning process. slip ring technology enables production of improved images and better diagnostic functionality of the machine. Large diameter slip rings are ideal for better working of the computed tomography machines. The fiber brush variant of slip ring is zero maintenance and accumulates negligible debris so that it works for a longer time. Moreover, the negligible noise generation helps in quieter and more peaceful operation which is comforting to the patients. For a high speed data communication, slip rings with optical components and coupled capacitors are also available which is an added bonus. The higher circuit densities and the compact slip ring design helps in more accurate and efficient current and data transmission. The larger bore designs of the slip ring with inner diameter ranging up to 50 inches further enhance efficacy and accuracy. 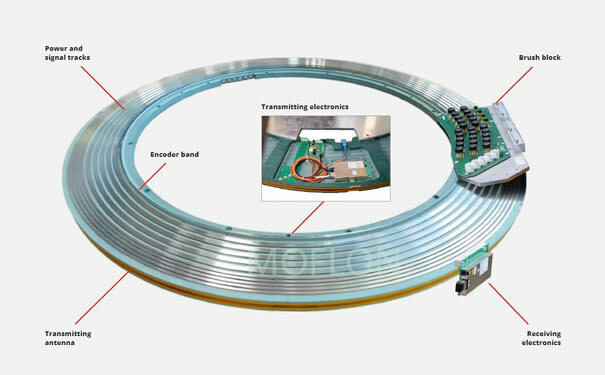 slip ring in CT scans has also led to high precision and zero error transmission from the detector array at speeds greater thab 20 gigabits per second. This is accomplished through optical and capacitive data channels. The innovative and novel fiber brush technology also enables enhanced power transmission through the sliding contact area at more than 200 rotations per minute. The non contacting data channel also helps with lesser friction. The two way communication channels make the machine even more efficient. Diagnostic accuracy is of paramount importance in CT scan machines and the novel slip ring technology not only enhances the accuracy but also the longevity of the CT scan equipment. Therefore, you can be ensured of lower maintenance and higher durability and clearer, higher resolution images that can help detect lesions better. Pri: Upgraded Slip Ring Assy can Transfer Both Power and Communication Next What is the main function of slip rings?